Cherryville Public Warehouse gives you a complete suite of services to manage your warehousing, fulfillment and distribution needs at a lower cost than you are probably used to. It all starts with the right plan. We work with you to define your needs and build a plan that ensures superior results as well as lower costs. We can tailor a program to meet your goals and ensure a smooth flow of product in and out of our warehouses.No matter how you receive product orders- shopping cart, EDI, FTP, web-enabled call center, mail or fax- we can address your needs. Additionally, we have the flexibility to distribute bulk quantities to large distributors and resellers, as well as to ship small, customized packages to end-users and consumers. 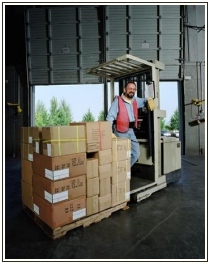 We have the flexibility to distribute bulk quantities to large distributors and resellers, as well as to ship small, customized packages to end-users and consumers.Whatever your market requires, Cherryville Public Warehouse can customize a distribution process that best serves your purpose. Look to Cherryville for highly cost effective transportation management through Multiple delivery options: next-day, ground, postal and LTL.